Knesset Ethics Committee criticizes MKs Yisrael Eichler, Yitzhak Cohen for 'illegitimate' comments on MK Yehuda Glick. The Knesset Ethics Committee has criticized MK Yisrael Eichler (UTJ) for calling MK Yehuda Glick (Likud) a "murderer." "This was not a legitimate comment," it ruled. "Such appellations could encourage attacks on Knesset members." 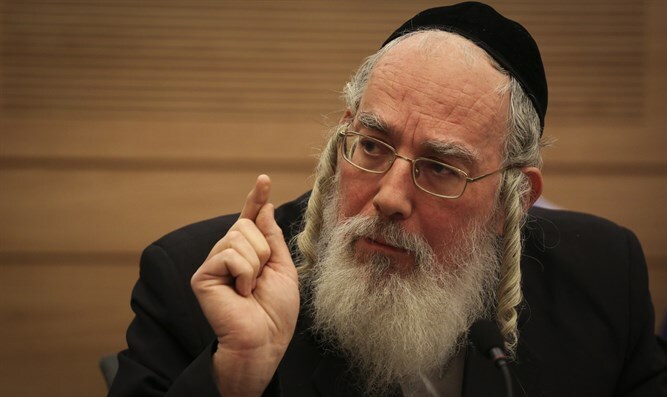 On June 19 MK Glick filed a complaint against MK Eichler and MK Yitzhak Cohen (Shas), after Eichler called him a "murderer" and "spiller of blood," and Cohen told Army Radio that "the latest intifada is named after MK Glick." The Ethics Committee, under the leadership of MK Yitzhak Vaknin (Shas), noted that "these are very serious accusations" and that "the Committee believes that such comments are not legitimate." Although the Committee declined to implement sanctions in this occasion, it called on the MKs "to desist from calling their colleague 'murderer,' 'spiller of blood' and similar titles that go beyond the freedom of political expression and are likely to encourage attacks on Knesset members." The Committee's decision will be submitted to the Knesset.